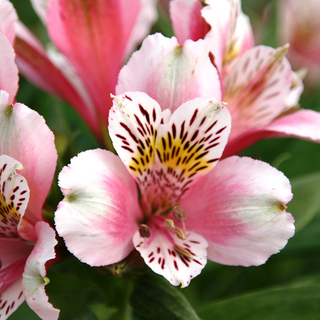 Adding further to its comprehensive ornamental plant range, Woolmans is introducing three new varieties of hardy Alstroemeria for delivery this spring.Tom Stimpson of Woolmans comments “We have been trialling plants from the Duke and Majestic series over the last two summers and have found them to carry large and beautifully patterned blooms on strong and sturdy stems – none of our trial plants have required staking”. Tom adds “All varieties have over-wintered well too and have come back with good vigour and more flowers than the previous year”. 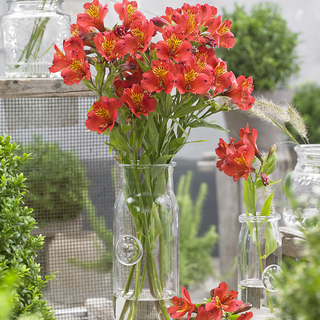 Bred for border and container planting and reaching between 60cm and 70cm in height, the strong stems are self-supporting and they are superb for cutting, lasting for several weeks in the vase. The extra-large blooms are vibrantly coloured and are often speckled and mottled with intricate markings, making them very special additions to herbaceous borders and large pots for displaying on a sunny patio or terrace. 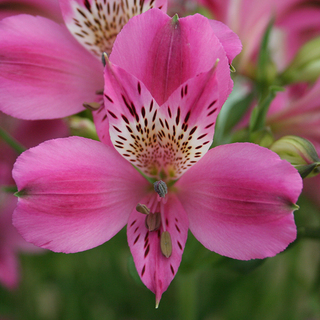 Alstroemeria Duke WilliamAlstroemeria Majestic LireAlstroemeria Duke EdouardThe three new varieties Woolmans is offering are Duke William, Duke Edouard and Majestic Lire, all supplied in 9cm pots and priced at £8.95 each. They can also be purchased as a collection along with two varieties the company introduced last year, Majestic Layon and Majestic Mazé. A collection of all 5 varieties costs £32.75, providing a saving of £12. Plants will be despatched from mid-May 2019.To order Woolmans Chrysanthemum and Ornamental Plant Catalogue, please go online at www.woolmans.com , telephone 0845 658 9137 or write to Woolmans, Gazeley Road, Kentford, Suffolk CB8 7QB.